On the border of Georgia and Tennessee sits the only two-time winner of Outside magazine’s Best Towns contest, Chattanooga. 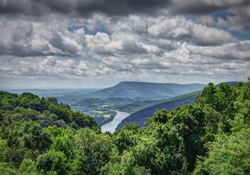 The city of Chattanooga is a paradise for outdoor enthusiasts. From multi-pitch rock faces and mountain bike trails, to whitewater rafting and caving, this city has something for everyone. It’s also a great place to spend some time at one of our state parks. Let’s take a look at where to stay and what to do on your next trip to the greatest outdoor city in the United States. 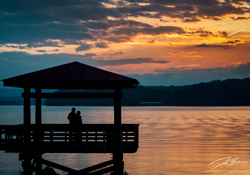 Harrison Bay State Park is about 20 minutes from downtown Chattanooga and is perfect for people who want to stay outside of the city. 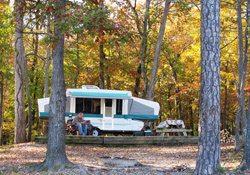 There are over 120 campsites with water and electrical at the park, and a few can even accommodate RV’s up to 65 ft. long. There are also 27 tent camping sites that don’t have electrical or water. This is the perfect park for a lakeside vacation in your retro Airstream. Just an hour from downtown, you will find an abundance of Class IV-V rapids on the Ocoee River. 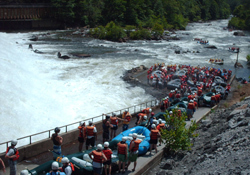 The river is most famous for hosting the 1996 Olympic whitewater slalom events. Hiwassee/Ocoee State Park is the put-in point for local tour companies that guide droves of rafters down the river. The park does allow tent camping, and they&apos;re more tent friendly than most parks. There’s not much else to do at the park other than spend time on the water, but when rafting is an option, why would you want to do anything else? Those looking to hit the links will find a fantastic 18-hole course at Harrison Bay State Park. 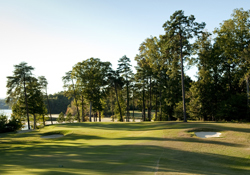 The Bear Trace at Harrison Bay is one of three Jack-Nicklaus designed courses in the state. It is surrounded by both water and heavily-wooded land and is referred to as “the best natural piece of land for a golf course.” This natural beauty is a selling point for the park. The course is not lined with homes or condos. Instead, the beautiful Chickamauga Lake touches 12 fairways of the course, while still providing golfers with ample space to hit safely. It’s pretty enough that a pair of bald eagles decided to call the course home, and have since raised a family in the trees above. The Harrison Bay Eagle Cam has gained national attention as thousands tune in to check on a live video feed of the eagle nest or come out to the park for a nest tour. Red Clay State Historic Park is where the Trail of Tears really began. On this site in the 1830’s, the Cherokee council learned that they had lost their mountains, streams and valleys forever. The park documents the history of the Cherokee peoples and is home to some important cultural landmarks. Red Clay was the site of 11 general councils of the Cherokee peoples in the 1800’s, with upwards of 5,000 people attending these events. In 2015, the three major Cherokee tribes returned to hold a council meeting for the first time since the Removal in 1838. 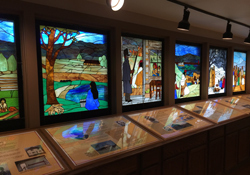 This is a great place to learn about the cultural and political heritage of the Cherokee people. 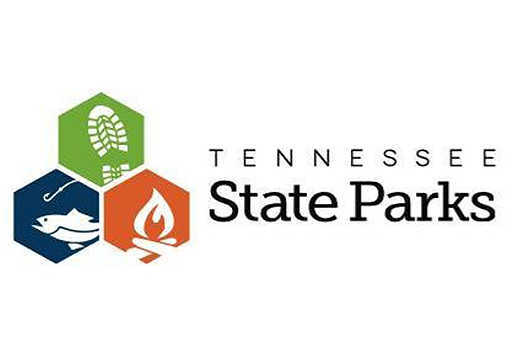 It is especially good for school-aged children who might be tagging along on your Chattanooga adventure. View online here or read as PDF.